CA: Would you like some coffee or tea? CA: How about cream or sugar? 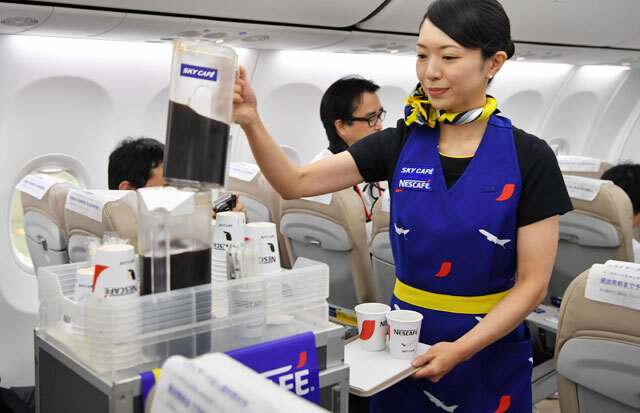 Passenger: No, thank you, I’d like my coffee black, please. Passenger: By the way, it’s very cold. Could I possibly have a blanket? CA: Of course, I’ll bring you one as soon as I’ve finished serving. I’d like my coffee black, please. a. I saw a cat in the kitchen. b. I saw a cat in the kitchen. I prefer my steak medium rare. I’m going to paint my bedroom pink. I ( our / garage / in / dog / the / found ). I found our dog in the garage.